Al even een inleiding gemaakt, en Raymond kan in het kader van confluence binnen deze sectie nu ook berichten editen zodat hij ook eenvoudig zelf een evt overzicht kan bewerken, dus als het goed is ook mijn startpost van dit draadje. Thanks Jeroen, door de vakantie was mij dit was mij nog niet eerder opgevallen, maar ik werk er graag aan mee. Between June and September, I performed five oil changes to four of my cars and a friend’s car (GD55450), of which I have submitted a sample to Blackstone for analysis. The report from my personal E34S M5 was already shared with you around the begin of July. The other samples were sent to Blackstone around halve September when we changed the oil on GD55450. Note: I used to send samples by DHL or equivalent in the black sample kit canister from Blackstone. I observed that when doing so, it took three weeks before Blackstone laboratories submitted their reports back to me. In September, I sent four samples simultaneously in a carton box. This time, it took Blackstone two weeks to report back. I then compared the track-tracing log that I kept of all shipments to Blackstone. The single shipments, thus unboxed where three weeks in transit, whilst the last collected shipment in a carton box was two weeks in transit. In all cases, the track tracing reported that the package arrived in the USA after about one week. However, the single shipments showed no activity in the second week of their transit-time until seven days after arriving in the USA when activity reappeared. This delay was not visible for the collected shipment in the carton box. I can’t prove it, but I suspect that the US customs keeps shipments that appear to be abnormal in quarantine for about a week before releasing them to local transporters for final delivery. Please note that this is not a complaint, but a mere observation. Anyhow, the four samples that were analysed by Blackstone in September were from (1) my E28S M5 (1018231), (2) my E32 735i (3152463), (3) my daily E39 530i touring (GV44730) and (4) a friends E34S M5 (GD55450). GD55450: Report number H02541 is the first report for this car and the second with Mobil1 Extended Life 10W60 (note #1). The first report with this oil (F61746) showed a slight increase of the wear compared to the last report with Castrol Edge Professional TWS (F13135). Report H02451 breaks this trend; all metals are lower than what has reported before. Compared to the cars averages, every wear-related element still is in the green zone, which is remarkable for a car that has almost 310000km on the odo. The sudden increase in metal-wear reported in F61746 also coincided with a change of oil type & brand; combined with the fact that the third report marked a sharp decrease in metal-wear raises the question if a change of oil brand/type can result in a temporary increase of wear-related elements? In any case, we (the owner and myself) are quite content with this report because it indicates that no major breakdowns have to be expected in the near future. We will continue monitoring with a reduced oil-exchange interval of around 6000km. 1018231: The second report for 1018231 (H02542) also marks a change from Castrol TWS Motorsport to Mobil1 Extended Life 10W60 (note #1). This is the fourth oil change since the rebuild, but the second one that has been tested. The first oil fil was with Eurol Special Multigrade 15W40 mineral running in oil with subsequent oil changes at 738km (Eurol Special Multigrade 15W40), 2113km (Castrol TWS Motorsport), 8223km (Mobil1 Extended Life 10W60) and 13462km (Mobil1 Extended Life 10W60). Unfortunately, I did not submit a sample of any of the two first oil changes, but the second report of the fourth oil change shows a significant reduction in metal wear. Blackstone also reported an increase in Potassium, which like Sodium is a trace-element used in coolant. Since I keep a detailed and accurate logbook, I know only 100 millilitres of coolant was added during this oil-life and this was only a top up for a non-measurable difference between the actual level and the cold-level marking on the reservoir. Blackstone confirms that this is very low, but their tests are also fairly sensitive. But since original M88/3 cylinder heads were NLA I was forced to have the cracks in the original head to be repaired. Whilst this was done with the best craftsmanship and process was involved, it cannot be ruled out that a slight leak will occur, but this must then also be related to an increase in Sodium, which is not the case. So what does cause Potassium? The next UOA will be interesting; we expect a further reduction of wear-related elements in the oil, also because the oil type/brand was not changed, which could answer the question that I raised with GD55450. The other two reports will follow ASAP, but my mind has too much to handle right now so that will take a few days. 1: Mobil1 Extended Life 10W60 has been renamed to Mobil1 Motorsport 10W60 in 2015. The other two reports that I received in September are (1) GV44730 and (2) 3152643, both of which are non S38/M88, but in the interest of the day are worth sharing. GV44730 is my daily driver, a late 2003 E39 530i Touring. This is the first report since the switch from Castrol TWS Motorsport 10W60 to Mobil1 New Life (NL) 0W40. This is more close to what BMW requires for the M54B30 engine (5W40 LL01) then the 10W60 grade that was used before that especially during the winter is a little too thick for the small trips in and around town. The subjective experiences with the Mobil1 NL 0W40 were very good. The running characteristics, especially in the cold have improved. However, the hard facts from the UOA give a different viewpoint. With exception of aluminium and chromium, metal wear has increased throughout the entire line. The previous reports show a little elevated copper wear, but zero lead wear. With this first report on new Life 0W40, especially the lead has increased. Now, this still is in line with Blackstone’s Universal averages, but a steep increase from the GV44730’s own averages. Q1: Is it possible that a switch of oil type / brand, in this particular case from Castrol Edge Professional 10W60 to Mobil1 NL 0W40 can result in temporary elevated engine wear ? Q2: If this is not the case, is it the LL01 approved oil itself that is at fault or just the longer service interval of little over 14000km (note #1) ? Q3: Does the M54 also benefit from a higher viscosity engine oil, e.g. a 10W60 grade ?. The answer to the first question that may be predicted by the most recent UOA report for GD55450. We observed a similar increase of engine-wear after switching from Castrol Edge Professional TWS to Mobil1 Extended Life (EL) 10W60 in the summer of 2012 (lab report F61476). However, according to the third UOA (report H02541) carried out in September 2015 this resolved completely. The next UOA for GV44730 that is scheduled around April 2016 will therefore be very interesting. 3152643 is our BMW E32 735i. Although it is against our nature, the historical data indicated that the tested oil had a service of almost 20000km. One would expect that the Total Base Number would be in the cellar by the, but Blackstone proves that this is not the case. Because 3152643 has been in storage since late 2004, it may very well be the case that an oil service has been performed after the last documented service in 2002….. we always keep the bills and the work-orders as proof, but because 3152643 was business owned it may be that one bill was missed. This would not only have been more in line with the tested TBN, but also explains for the low amount of phosphorous that resembles that of the later blend of Castrol TWS Motorsport instead of the ‘Formula RS SAE 10W60 racing Syntec’. Although an exact estimation is impossible, it is likely that 3152643 has been spend an oil change somewhere in 2003 and that the real life of the tested oil is around 7000-8000 kilometres. 1: The elevated levels of aluminium and chromium probably comes from pistons and piston-rings. 3: The elevated level of iron could be the result from either item 1 or item 2. I must admit that after the installation of a factory new cylinder head in 2002, the engine started to develop a slight audible tick that was traced to the bottom end. However, this only occurred when releasing the throttle. However, 3152643 was put in storage in 2004 and thus lowered the priority for resolving this. When the engine of 1018231 was rebuilt in 2009, we asked for a diagnosis, but the noise did not occur at the doctor’s office. In fact, this report is the first indication that there is an issue with the piston(s) and bearings. Ignoring the fact that the cars (1) usage and (2) economic value does not justify for a full engine rebuild, this report may trigger some limited actions. The first action is to resolve the high amount of fuel found in the sample. We believe this is caused by the twenty-eight year old injectors that never have been serviced. The plan is to remove them during the winter for shipment to Bernd Prickartz, a renowned specialist in Linnich (Germany). Another limited action that we could take is opening the oil-pan for an inspection of the con-rod bearings. Given the limited (material) cost their preventive replacement will then be a no brainer. If there is a causal connection to the suspected piston and piston-ring wear, the chromium and aluminium numbers will also drop. It may be possible that this also works the other way around, but we’ll see. A full rebuild is (and) will not be considered because of the earlier mentioned reasons and we know that M30’s can reach a very old age. 1: This is still within the factory recommended service interval of 15000km. 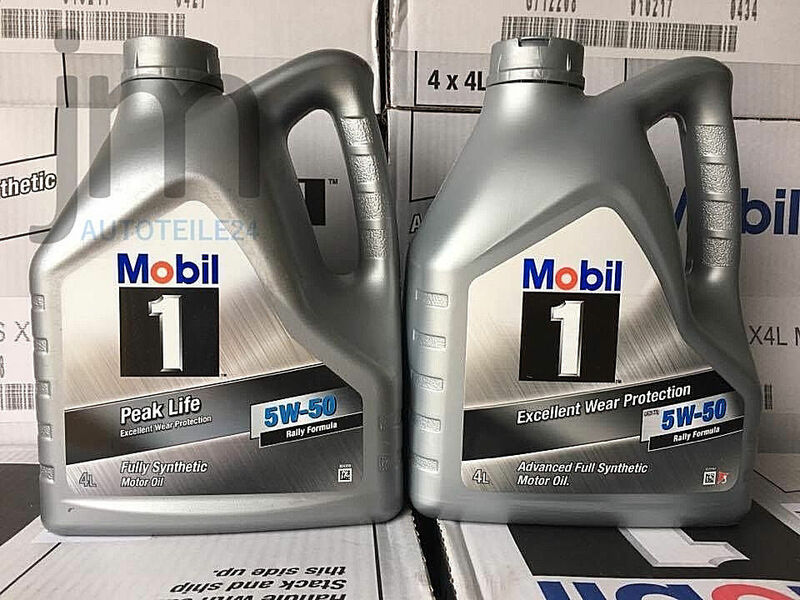 2: Compared to most of its direct competitors, Mobil1 NL 0W40 has superior HTHS (3,8cp @150°C compared to the most of its direct competitors (0W40 and 5W40 grade). Mooie write up, Raymond. Als ik jouw verhalen lees, dan vraag ik me altijd af hoe het kan dat mijn auto's blijven rijden, zonder alle tests etc. Hahaha. Mijn e91 is de enige met wat meer verbruik, een litertje op 10k km, dus dat is me wel naar de zin. De cabrio zou ik wel eens willen laten testen, al was het maar om een nulsituatie vast te stellen. It's the man next door! Tsja zo denk je dat je op de juiste weg bent, zaaien de (mogelijk tijdelijk) gestegen slijtagewaardes weer onduidelijkheid. Ik meen echter dat we dat eerder met een overstap naar Castrol ook wel hebben gezien en idd werd geweten aan die overstap. Mogelijk dat door een andere samenstelling bijv op meer 'dode' plaatsen vervuiling los komt (bijvoorbeeld onderin zuigers) die al langere tijd in het oliesysteem zat. Geen nieuw materiaal, maar loskomend oud materiaal. Ofwel, als je met een volgende analyse voor de 530i weer betere waardes meet zou dat inderdaad het geval kunnen zijn. Fingers crossed! Je E21 heeft toch een verse motor? Zo ja, dan is die van binnen nog helemaal schoon en dan moet de omschakeling naar een moderne olie die i.d.r. een hoge detergentie heeft eigenlijk geen probleem zijn. Maar omdat je aangeeft dat de M20 harder moet werken zul je ook hogere toerentallen vragen en dan zou ik je adviseren om een xW50 olie toe te passen. Dan zijn Motul 300V Competition 15W50 en Mobil1 Peak Life 5W50 gewoon hele goede keuzes. Die laatste is wel beter voor de koude start en dat is de reden waarom we in ons klimaat beter geen olie met een viscositeit-klasse van 20Wx en hoger moeten toepassen. N.B: Ik zou het voor een M20/M30 alleen wel bij een xW50 houden en niet naar een 10W60 omdat deze laatste een hogere oliefilm-sterkte heeft waardoor de dynamische verliezen in de drijfstangen toeneemt. Ik wil van de standaard 10w40 af is, geldt het bovenstaand ook voor mijn verse M20 2.7? Motul 300V Competition 15W50 besteld. In der zweiten Hälfte des Jahres 2016 begann ExxonMobil den Prozess, die Ware Mobil 1 Peak Life 5W-50 durch das Produkt Mobil 1 FS x1 5W-50 zu ersetzen. Im neuem Produkt wurde der Name verändert. Das Öl Mobil 1 FS x1 5W-50 bietet ausgezeichneten Schutz vor Motorenverschleiß. Um den Kunden das Gefühl der Kontinuität zu sichern, hat die Gesellschaft vor, dem neuen Artikel das identische Aussehen wie das aktuell angebotene Öl Mobil 1 Peak Life 5W-50 zu geben. Die Verpackung, d. h. die Flaschenfarbe, Flaschenverschluss sowie Etiketten, bleiben auch unverändert. Vom Etikett wird nur die Bezeichnung „Peak Life" gelöscht. Um die Anzahl der Veränderungen einzuschränken, mit denen der Kunde konfrontiert wird, bleibt die Bezeichnung „Rally Formula" (Auf dem Etikett unter der Information über den Klebrigkeitsgrad gemäß dem Etikett des Öls Mobil 1 Peak Life 5W-50) unverändert. Ik liep online al tegen verschillende namen aan, maar dit verklaart het een en ander. Zowel Motul als de Mobil 1 zijn super! De 5W50 gaat bij Porsche op bijna alle turbo motoren en de oudere atmosferische motoren om olieverbruik te beperken.